← Tallulah is here, what’s next? The nearly completed turtle habitat. Just add turtles. The turtles’ new habitat is finished and has been up and running for a few days, and it’s looking great. Custom built by the Animal Care staff, the habitat had to be water-tested to ensure that it has no leaks and that the water filtration pumps, air circulation system, and lighting all work smoothly. And so far, so good. The basking light and rock. The inner workings of the tank are cleverly disguised in a driftwood sculpture, giving the habitat a natural look and feel. Even the turtles’ basking light is hidden in piece of driftwood that extends over a nice flat rock. 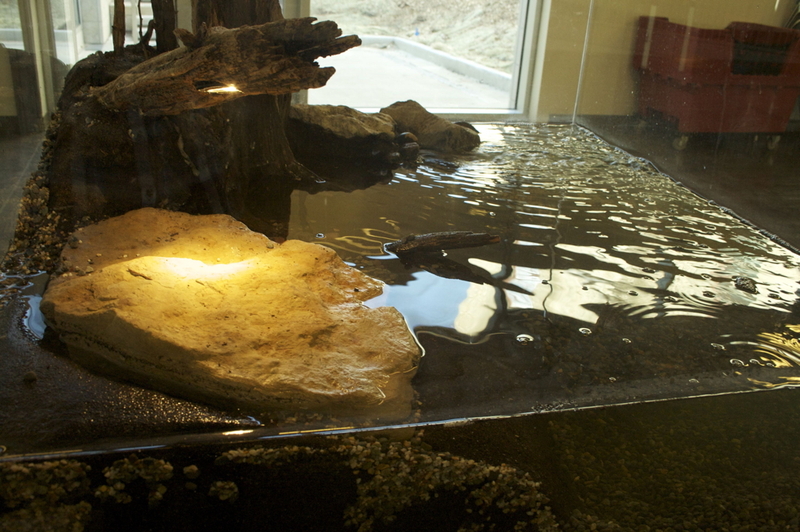 It will be a great spot for the turtles to relax and enjoy the heat as museum visitors check them out. In just a few weeks, the new habitat will be moving up to the water exhibit area and museum staff will be seeding it with some emerald shiners (a type of small bait fish) to kick-start the biological system. Then it will be ready for the turtles to move in! 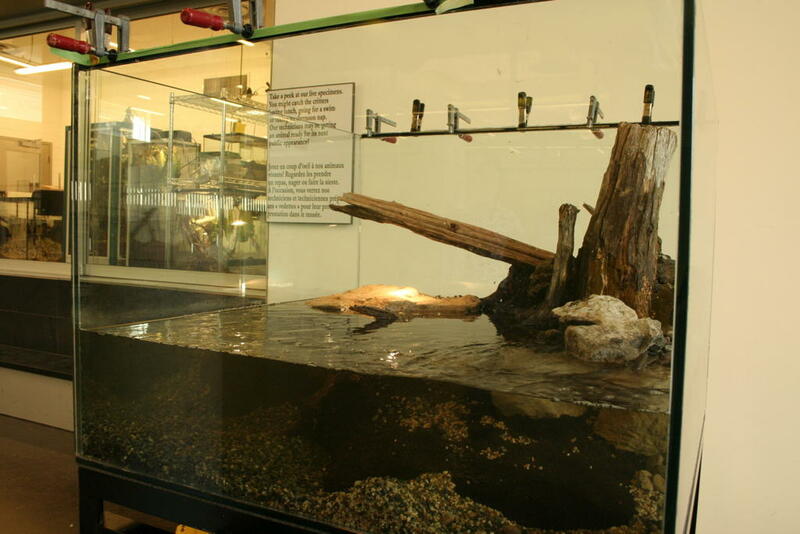 This entry was posted in Water and tagged animal care facility, spotted turtles, turtle habitat, water exhibit. Bookmark the permalink.